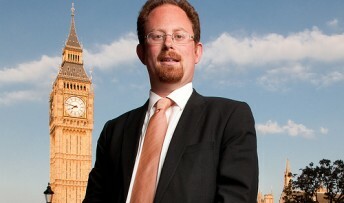 MP Julian Huppert has attacked the Competition Commission for failing to act against the monopolies which exist within Cambridge’s supermarket and bus travel sector while forcing the sale of the Cambridge Arts Picturehouse. He claims the Commission has failed to stop big companies dominating other markets in the city but instead has ruled that Cineworld must sell either the Picturehouse or its other city cinema. “We have seen the Competition Commission sit back while our independent companies have been put under threat by giant businesses moving into our city and dominating the market place,” he said. “Yet it has moved swiftly to threaten a cinema which is highly regarded and extremely valuable to Cambridge regardless of the fact that so many people have spoken out. Julian Huppert will join campaigners outside Cambridge’s Arts Picturehouse this afternoon (Wednesday, October 9) to protest about the decision. He will ask passers-by to sign his petition which opposes the Competition Commission’s decision. Julian will also raise the issue in Parliament and is taking the case to Business Secretary, Vince Cable in a bid to reverse the decision. What about the punting monopoly of Scudamores?